QoTW: How safe is it to leave your computer on during a storm? Is it bad to leave your computer on during a thunderstorm? Generally when I hear the crack of thunder, my PC goes off immediately. Today I’m working though, and wondered – how bad is it to leave it on? If the power goes out, will it kill it? I use a power strip – that protects it, right? In minutes I had a response from Randolf Richardson, who explained that my poor little power bar just wouldn’t stand up to any power surge. As the thunder and lightning went on outside, I continued reading through the comments flooding in. After BloodPhilia asked you guys what the Super User blog should be focusing on, slhck pointed out that it would be nice if we could address recent changes to Super User and the Stack Exchange network. So here’s our first overview of recent changes. Hardware, that single thing every techie could likely go on for hours about. Being myself, I’m a tad out of date as usual, but I did get to have a neat experience that nearly tipped my inner nerd over the edge. We walked down an empty hall, to a plain white down. Entered a room, unlit. Then with the flick of a light switch, my mind was blown. A room, filled with monitors. Nice Dell ones, 23 inch at my guess. At first I thought we might be a little squished together, the monitors seemed close. But nope, it was dual monitors. Being stuck with just a 20 inch single monitor at home, I was instantly enthralled. I sat down at a chair, and looked around, seeing where my computer was. Under the desk, what I had originally thought was a cooler, was actually an Alienware Computer. The Area 51. A second look at Soluto: Add-ons and Crashes. Remember our first review of Soluto where we took you through the installation procedure, improving your boot time and what PC Genome might be? Soluto has released two new features this week, we are going to check them out and tell you what PC Genome really is about! Soluto’s goal is to bring an end to the frustrations PC users encounter, with transparency, killer technology, and the wisdom of the crowd. Soluto’s software combines low-level technology with collective wisdom to detect PC users’ frustrations, reveal their causes, and learn which actions really eliminate them to improve user experience. 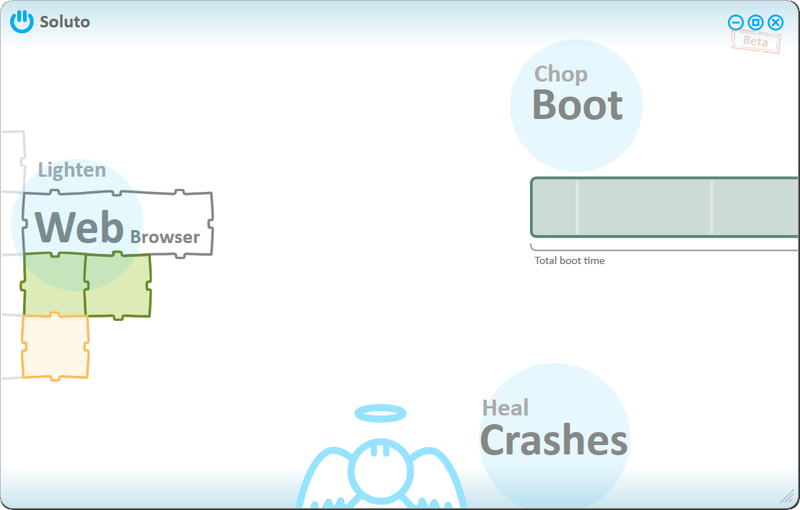 You should already know the boot feature from last review and there were only some minor changes there so in fact it means that you can now “chop” it, let’s instead see how we can “lighten” your web browser and “heal” those annoying crashes. Welcome nhinkle, our latest Super User moderator! He has been with us for quite some time already and has always been a valued user. As you can see from his rep graph, he’s been a steady participant on Super User and finally broke 10k rep this past April. On of the things you might know nhinkle about are his excellently formatted answers and his participation in tag-wiki’s. The war of attrition took another step between Facebook and Google, as we learn of Facebook’s attempt at smearing Google’s over privacy claims. An ad agency hired by Facebook promised placement in major periodicals to a independent blogger, but instead of writing articles the blogger released the correspondence between him and the ad agency. Kyle reflects on the current state of software distribution by Apple. We talk about the current trends of shipping software digitally, the shrinking physical software selection in Apple retail stores, and how you install Mac OS X on computers devoid of an optical drive. Adding to this that Xcode and the Developer Previews of Lion are distributed via the Mac App Store, we consider how Apple may distribute Lion officially, possibly announcing it this summer at WWDC. Our Question of the Week is “Is There a Way to Password Protect Individual Apps”, asked by Rabskatran. This question spawned a discussion on “The XY Problem” that occurs commonly on the Stack Exchange network, what it is, and what may be the best answer to officially accept in these cases. I have Mac PC, in which I have created a Windows partition and have installed Windows using Boot Camp. If I log in to the Mac OS, I can read all the files from the Windows partition from Mac. If I compare the same scenario from within Windows, Windows claims to secure a user’s private files (stored in My Documents for instance) from other users with equal or less privilege. I was expecting to see the same protection from Mac as well. I was expecting an error message in Mac to show that these files are inaccessible, if I try to see or open them. Can someone explain if my perception is right or am I missing something? While the question specifically mentions NTFS the answer applies to almost every file system that is able to be accessed by another operating system and has not had native support for that file system built in. The same would apply to EXT2/3/4 (Linux) support on Windows, HFS (Mac) support on Linux or any combination of file systems that are standard for one system and just barely “supported” on another. 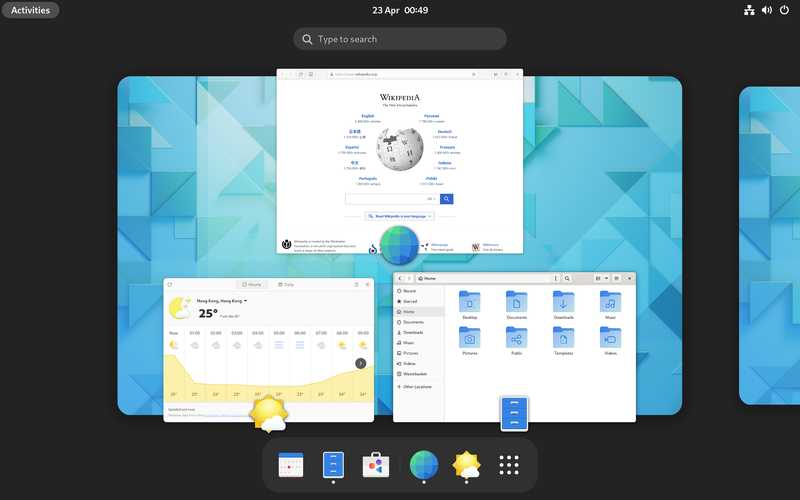 Assuming everyone has already heard of Canonical’s Unity Desktop environment, which for the latest version of Ubuntu (11.04), is pushing Gnome off to the side. But fear not! Gnome is still alive and kicking! Summer is coming, did you plan your vacation yet? Looking for something else than those pre-made vacations? Read on, we’re going to look at software that helps you plan your vacation in a more productive and geeky way. Even if you did plan your vacation or went for a pre-made one, you might get to know more about the area you are going to be in on your vacation. Google Earth should be your first stop to search for good weather, a location that’s close to the sea or perhaps snowy mountains. Then, you can look around the place and get to know it by watching pictures, 360° panoramas, walking routes, webcams and videos. If you like the place you can start looking into the hotels, knowing where the bank and shopping center are alongside the touristic routes and restaurants.